For the past few years, I have been running road and trail, taking part in many race events from Derry & Dublin City Marathons to the Mourne Mountain Marathon. I am not exactly the type of person I would regard as an athlete, I have never won anything at any of these events only the admiration of my family, and I would probably fit the bracket of a weekend warrior at best. I train regularly for distance running and enjoy the challenges it brings. After a busy year last year with training and charity work, I decided I wanted something different this year for me. Multisport adventure racing was the way to go as it looked both challenging and fun. I know a few people who take part in it and thought sure why not go that road. 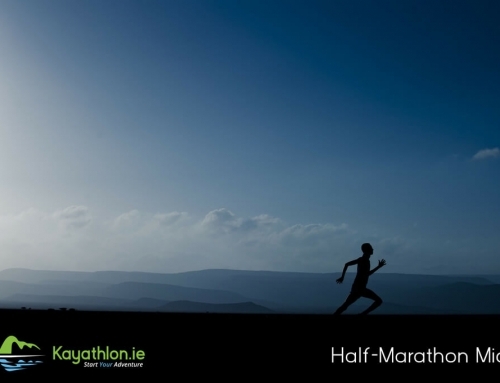 Well 2018 started and nothing booked except the routine start to the year with the Dune Half Marathon and the local DKIT10k. As time moved on I doubted my ability to transition. With a bit of encouragement I booked Glendalough just in time. The only spaces available were in Wave 1 Expert and Wave 3 Sport, the other waves where sold out! This spiked my doubt even more…what did everyone else know that I didn’t! I set about my training plan as at this stage I had only six weeks to prepare. 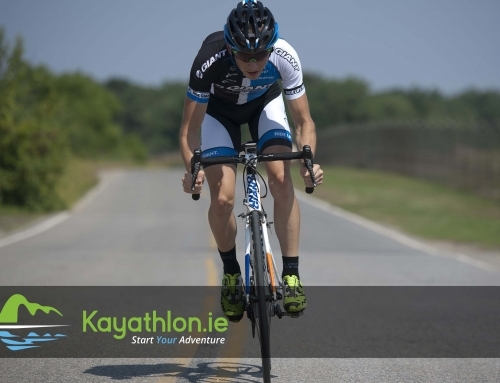 I figured as a newbie to cycling that my main focus would be there, I have kayaked for a number of years, just not in the last 18 months and I have a decent enough base in running, so no kayaking and enough running just to stay in touch. Training started well with as many rides as I could fit in, ranging from one to 2hr stints. I increased the number of core and HIIT classes whilst trying to fit it all in around busy shift work. I found it tough on the endurance side going straight out on a ride to the mountain after a fitness class so I had to rethink this one as the nutrition was not sustaining the level of intensity involved. 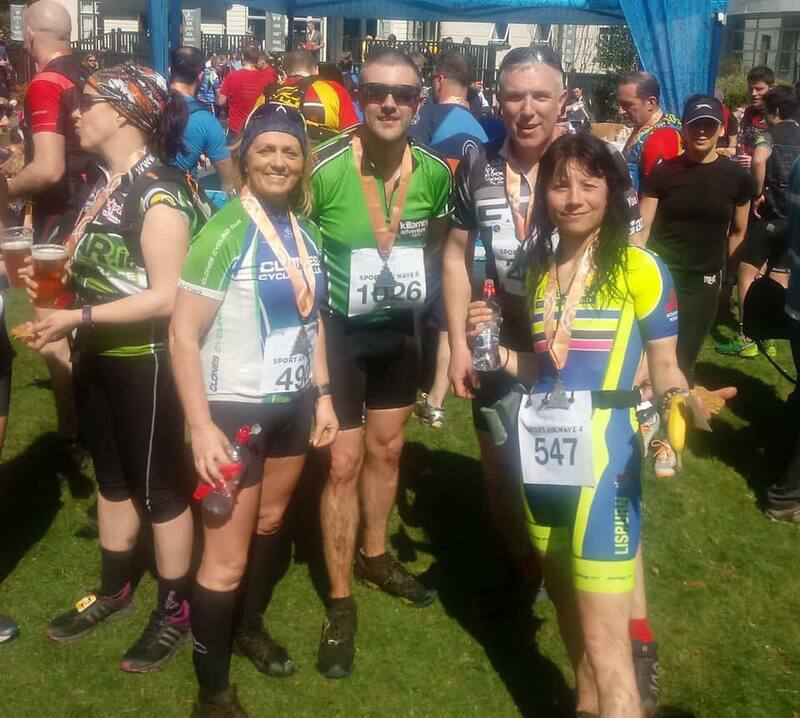 By the beginning of week two, I was on a 44km ride with some low-level mountain climbs and out the next day on a 46km ride with a friend who cycles with a local club. My only stipulation was it had to include plenty of hills and hills he gave me from the outset. We navigated country roads North and South of the border and slowly powered up a long steep grind of 11% gradient! This was new to me and figured if I could get up this, I am sorted (ha Foolish thought!!). A days rest and out to challenge myself under loose race conditions, I set off on my bike to the mountains, 21km cycle and parked the bike at a friend’s house at the foot of Slieve Foye Mtn and set off on a 10km trail run taking in two summits in pretty windy and cold conditions with the last of the snow lingering on the ground in places then back on the bike for 21km to home. A good effort and guide of what I needed to do looking forward. The next day was rest day and the plan was to clock up another good bike ride the day after, that was until the flu got into the house and took me down for nearly two weeks. With the training plan out the window and my prep up in the air, it was now two weeks to race day. So back to what I know and weekly training with local marathon club. I figured the lungs have been knocked out of me so back intervals and speed sessions to give me a half-decent chance of finishing. Wednesday I cleaned and serviced my bike, then headed off to my last run training session before Saturday. This was a good session and it settled my nerves a bit, I felt confident my running would carry me on the day, although I was still not feeling strong. 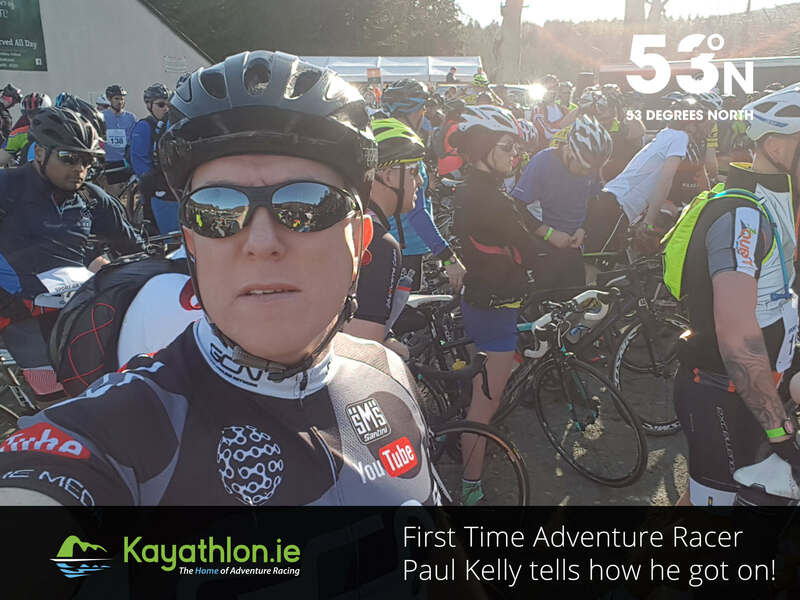 Race morning and my wave was setting off at 09:00hrs, having stayed the night before with friends in Dublin I set off Saturday morning a bit tight on time but making it to the car park at 08:40 and to the starting pen at 08:47. 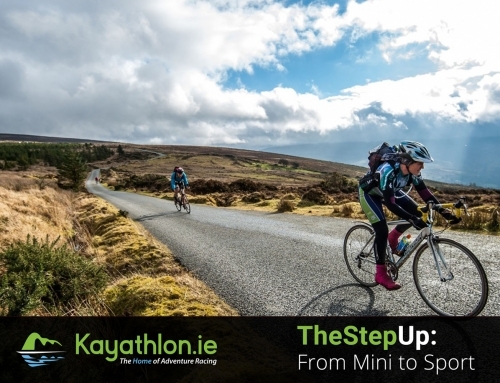 Having passed many guys on the way to the start line who were at their cars & vans tinkering at their bikes getting them ready I felt I was sinking before I had even started. Not even, a warm-up done breaking all the rules for pre-race prep I just whipped the bike out of the boot of the car and dibbed in. My instinctive thought was to just give it a lash and see what happens. Safety brief done and off we went. I managed to resist lashing into the cycle and to pace it as the evening before I had driven the first hill and had a fair idea of the grit it was going to take to get me up it. It took me about a good 1.5km on the trail before I could settle into a run after the gruelling 6km bike climb. Trail run done and I figured the next bike section couldn’t be any worse than the Shay Elliot climb, my first time on fast downhills I managed to stay on and enjoy it with only being overtaken by one other, this boosted my confidence and I had a strong ride thinking this is class, I’m on a winner here! How wrong was I! Breezing through some ups and downs, the road turns right and then I’m looking straight up the steepest hill I’ve ever seen anybody struggle up. I attacked the bottom of the hill I was quickly going down the gears until I had no more… and stop! With no pacing, my heart was nearly out of my chest, as I leaned over my handle bars quickly trying to catch my breath and questioning how anyone gets up this hill, I was then passed by a group of 5 slugging it out and we were still near the bottom! At the risk of being passed by a lot more I could not stay still so I started to walk for a bit. I managed to get going on the bike only to give in again near the top as I had no energy to give in the legs, another short walk and away I went again – 3km of brutality! The next run section was a painful struggle with a welcome cooling off on the kayak and a horrible run to the finish. However crossing the finish line confirmed adventure racing was for me. It was brutal, painful but thoroughly enjoyable all at the same time. 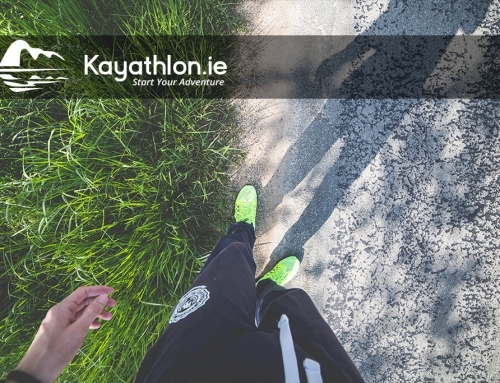 With temperatures in the early 20’s and the most amazing scenery on Irelands Ancient East, I couldn’t think of a better event to take the plunge into multisport adventure racing. 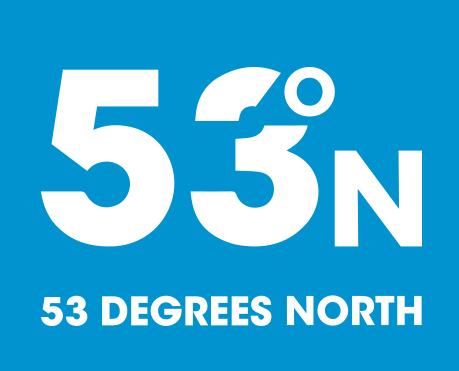 I placed 289 out of 894 in the Sport 41km Category in a finish time of 3:05:17. I am happy with that all things considered. Still reeling from the adrenaline high, a week later I was back looking for the next race to tackle and having a better idea what I’m in for, I’ll be preparing better for it! I want to extend a huge thank you to the Quest team of staff, volunteers and stakeholders for an amazing experience and a seriously well run event. 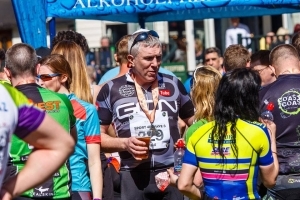 If I can offer anyone advice to anyone looking for a new adventure to challenge themselves then look no further than the variety of multisport race events happening around the country. There is something for everyone out there and I promise you will not be disappointed!